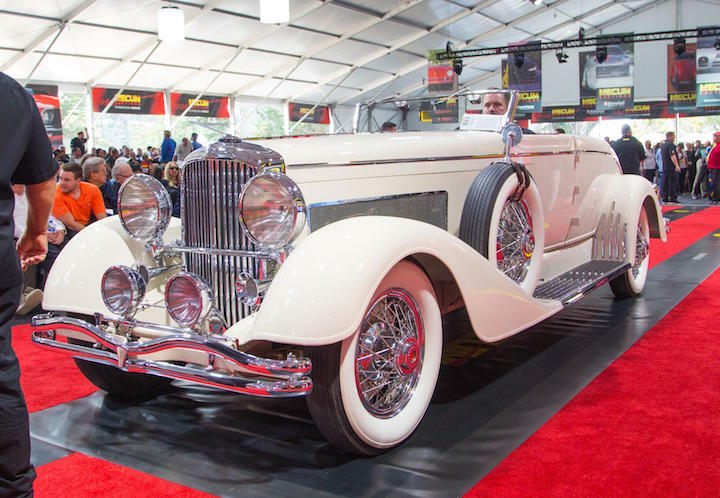 (September 14, 2018) LAS VEGAS — Barrett-Jackson continues building an impressive docket with the addition of 25 cars from the Bryan Frank Collection for the 2018 Las Vegas Auction, Sept. 27-29, at the Mandalay Bay Resort and Casino. The collection adds to an already impressive docket for the 11th annual auction in Las Vegas, which also includes the John Staluppi Jr. Collection. (September 13, 2018) LOS ANGELES — On Saturday, September 29, 2018, the Petersen Automotive Museum will debut the first in a series of “California-themed” exhibitions to kick off its 25th anniversary in 2019 on Sept. 29. Titled “Auto-Didactic: The Juxtapoz School,” the display will examine a mix of art pieces and automobiles from the artists of “Juxtapoz Magazine,” who have helped redefine the role and imagery of automobiles in contemporary art. 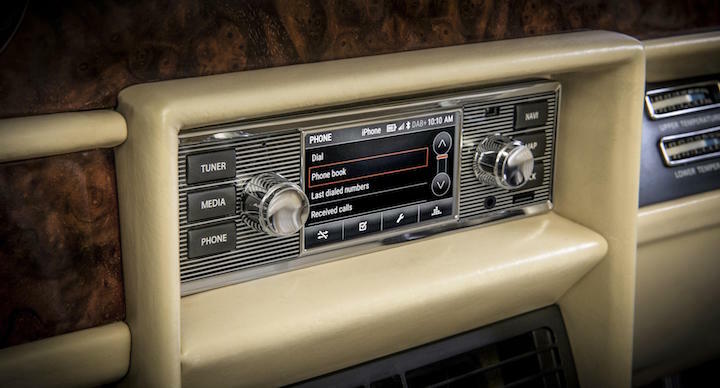 (September 7, 2018) Jaguar Land Rover Classic has introduced a new infotainment system to its growing range of genuine parts and accessories, bringing modern functionality to classic vehicles in an authentic-looking, classically-styled, head unit. (September 4, 2018) ATLANTA — Now in its third year, the Atlanta Concours d’Elegance continues to grow in stature and is attracting exceptional, award-winning automobiles from nationally recognized collections, individual owners from across the nation, as well as collectors in Georgia and around the Southeast. (August 31, 2018) Mecum Auctions outdid itself again with a 38-percent increase in total sales at its 10th annual Daytime Auction held in Monterey, Calif. With quality, rarity and diversity punctuating the vast Mecum lineup, the 2018 auction hurdled past last year’s totals as overall sales reached an impressive $47 million and marked the anniversary event as the highest-grossing Monterey auction in Mecum’s 10 years on the peninsula. (August 30, 2018) WALWORTH, Wis. — Mecum Auctions returns to the Kentucky Exposition Center on Sept. 7-8 for Mecum Louisville 2018 with an estimated 600 American muscle cars, classics, Corvettes, Hot Rods, Resto Mods and more expected to cross the auction block. 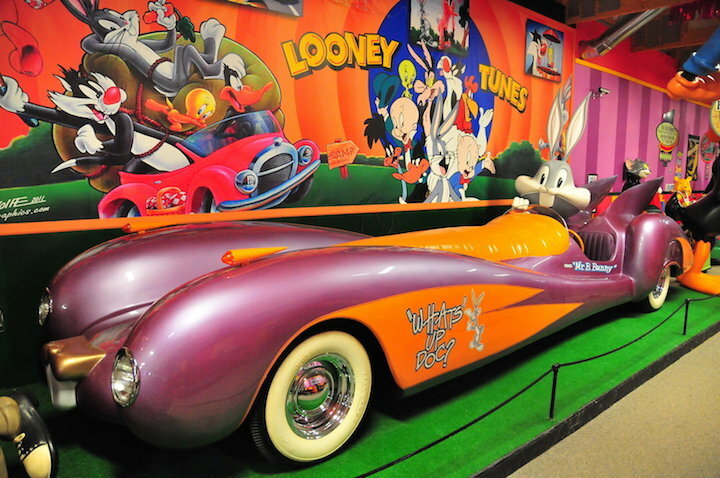 (August 28, 2018) VOLO, Ill. — When the Volo Auto Museum sells some of its famous TV and movie cars and other novelties this September, it won't be because officials are downsizing or cutting their losses. Rather, it will be the continuation of a winning strategy that has helped this increasingly eclectic museum located in a small northern Illinois town to buck the trend that has been closing the doors of other auto museums nationwide. (August 27, 2018) PEBBLE BEACH, Calif. — After an intense competition that drew diverse cars from around the globe, the coveted gold Best of Show ribbon was placed on the deep blue bodywork of a 1937 Alfa Romeo 8C 2900B Touring Berlinetta at the 2018 Pebble Beach Concours d'Elegance. It was a match meant to be. 1946 Hollywood stock footage gives glimpse of highway travel in L.A.
(August 16, 2018) This nearly six-minute stock footage from Columbia's "Down to Earth" movie gives us a rare glimpse of driving life just after World War II in Southern California. It's a unique treat to take a steam train ride on tracks parallel to the North San Fernando Road in Los Angeles County that times for part of California Highway 99. Read more about 1946 Hollywood stock footage gives glimpse of highway travel in L.A.
(August 13, 2018) Gooding & Company, the official auction house of the Pebble Beach Concours d’Elegance, will present one of the greatest American classic cars ever offered for public sale with an estimate in excess of $10 million — a 1935 Duesenberg SSJ owned by actor Gary Cooper. The auction will be held Aug. 24 and 25.